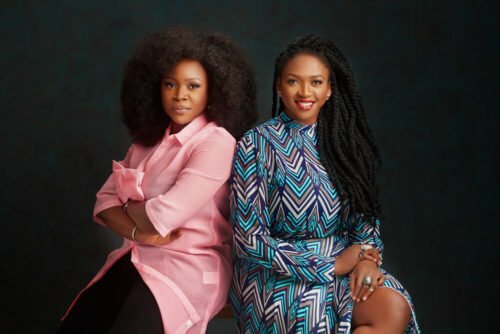 Owawumi has sent waje some comforting words in order to lift are spirit amidst the music crisis she is currently faced with. The current situation with Waje regarding her intentions of quitting music is no news anymore after the video in which the singer vented her frustrations went viral over the internet. Since then, various industry mates have been showing her support. The latest person to send to her some really soothing words is her friend and industry pal; Omawumi. She said she understands thoroughly what Waje is currently going through but said as well she know she would pull through. She further added that there is no way Waje would leave her in this industry because she is her best friend. She appreciated Waje as well for a strong woman that she is. “My Dear Friend turned Sister, the conversation we had concerning this recent video, we had it in private. But I want to use this medium to tell you. I can relate 100%. I am thankful for your love and support and being the strong woman that you are. I know you cant quit nothing! And leave me alone in this industry? Mbanu! No it’s not her birthday, SHE IS…My Besto so I can celebrate her anytime I want.Na so we go dey laugh all the time… In other news, Have you seen @sheisthemovie ? It’s out in all Cinemas Nationwide.” Omawumi wrote in a post on Instagram.